We all have funny stories of certain cousins or even siblings who, in their childhood, would sneakily finish certain food stuffs without anyone knowing. I must admit that I was one of those kids. 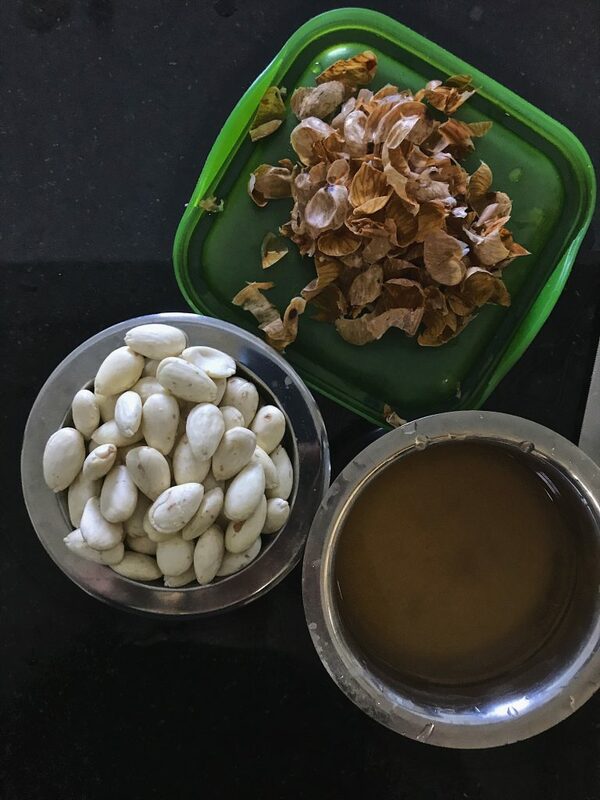 During my summer vacations, I would often open my Grandmother’s fridge, take out her bottle of Homemade Badam Sharbat and make myself a glass followed by another and yet another. Before she knew it, the contents of her bottle of Badam Sharbat concentrate would have halved. That is how much I loved Homemade Badam Sharbat! My grandmother made Badam Sharbat almost every summer and would sometimes send us a bottle of the concentrate. It was fairly simple to prepare a glass of Badam Sharbat for a 10 year old. Even a kid could make a glass of Badam Sharbat! All I had to do was to add a couple of tablespoons of the Badam sharbat concentrate in a glass, add the optional dash of cold milk and top it off with chilled water. There was no need to add more sugar and stir endlessly. It was that simple! And I was a sucker for this Sharbat all my growing up years. I know the story of me sneakily finishing bottles of Badam Sharbat before anyone got a chance to drink a glass were funny but problematic for my parents! But we still thought I was better than the one cousin who was obsessed with Ketchup. She would drink it straight from the bottle when no one was looking! Yes I know, kids are strange! In case you are a little invested now in my cousin’s Ketchup obsession story, I must tell you how it ended. After a few weeks of noticing the level of Ketchup depreciate in the bottles, her uncle suggested her parents to replace the normal Ketchup bottle with a chilli version of the Ketchup. Finding herself alone in front of the fridge she had a swig of the Chilli Ketchup and then, you can guess what happened! As for me, no one bothered to fix my obsession. I do enjoy a glass of thandai during Holi and the summer season but still, nothing beats this sharbat for me! And thanks to that, I learnt how to make it my self. Lucky for you guys that I now write for a food blog! 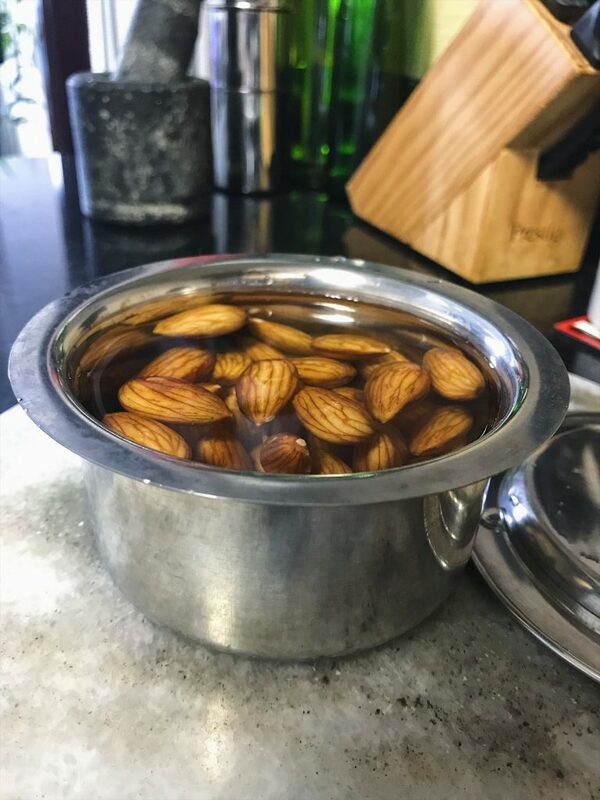 Start by rinsing the Almonds once with clean water and then soak in bowl for 4-5 hours or overnight. Peel the almonds the next morning or after 4-5 hours of soaking. After this, place the peeled almonds in a small mixie jar or food processor bowl and pulse till it becomes a smooth paste. You may need to scrape the sides of the jar several times. You can add a couple of teaspoons of water to process it smoother but don’t add too much. In a sauce pan. place the 2 cups of water and 2 and a half cups of sugar. Then place this sauce pan on low medium heat and stir occasionally. Let the contents of the sauce pan come to a boil and then reduce the heat to low. Add the crushed cardamom pods and crushed black pepper next and let the syrup simmer till it thickens. This will take 7-10 minutes and you’ll have to let the syrup reduce. You can add Saffron, Rose or Kewra flavours at this moment. I usually skip these as I like just the nuttiness of the almonds to shine through. Next step is to check the consistency of the syrup. Once you notice that the syrup has thickened slightly, watch it closely. There is no fixed 1 string or 2 string (1 tar ki chashni, 2 tar ki chashni) consistency parameter here for the Badam Sharbat. 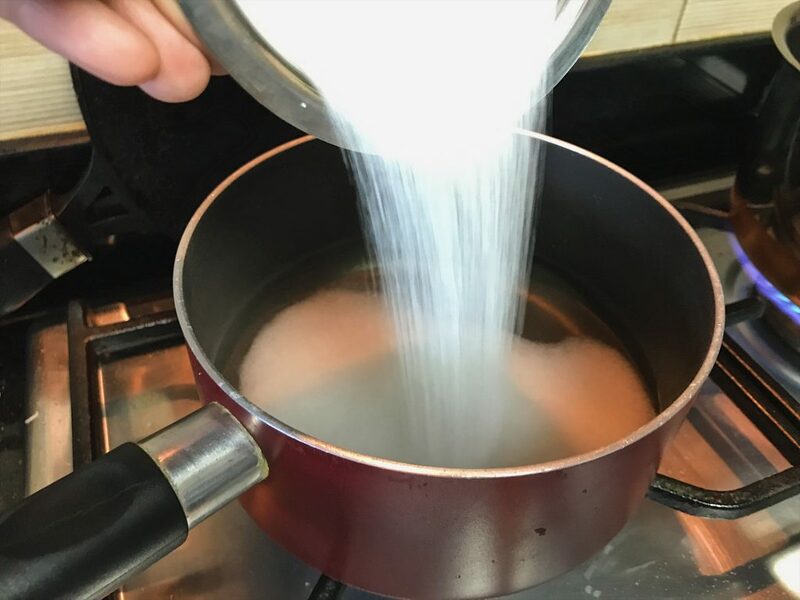 The sugar syrup doesn’t need to be very thick because there is still some cooking left to do here. When you see that the syrup has thickened, add the Almond paste and stir. You’ll see a change of colour as the mix turns pale yellowish which is fine. Now let this Badam Sharbat cook on low heat to simmer for 7-10 minutes more. It will thicken more and there will be some froth on top. Stir the Badam Sharbat occasionally till it has thickened some more and then take off heat. 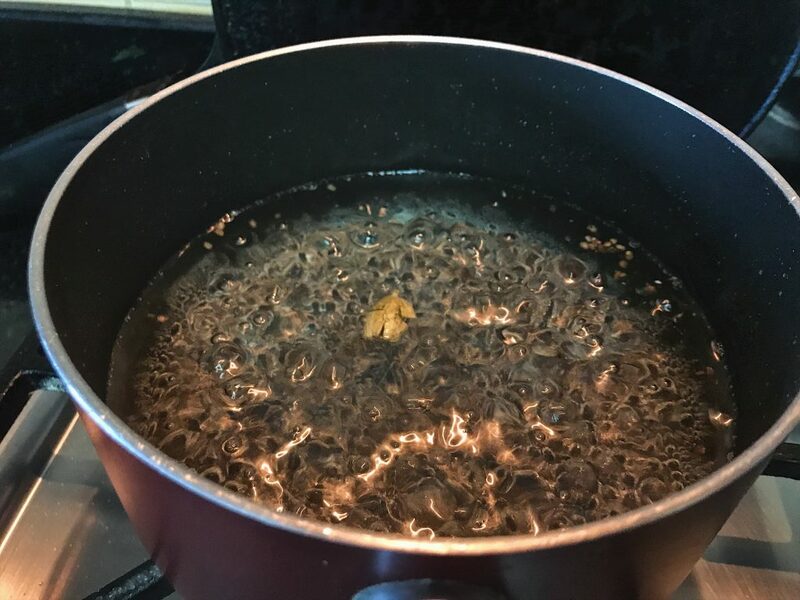 Overall, the cooking of the syrup from start to finish would be approximately 20 minutes because the Badam Sharbat concentrate will thicken more once it cools down. Once the Badam Sharbat cools down pour it into clean sterilised glass bottles. I recommend that you don’t keep this concentrate in the fridge as the syrup on the sides of the bottle tends to crystallise. Also, always shake the contents of the shut bottle well before making the Badam Sharbat drink as the syrup and almond particles tend to separate over time. 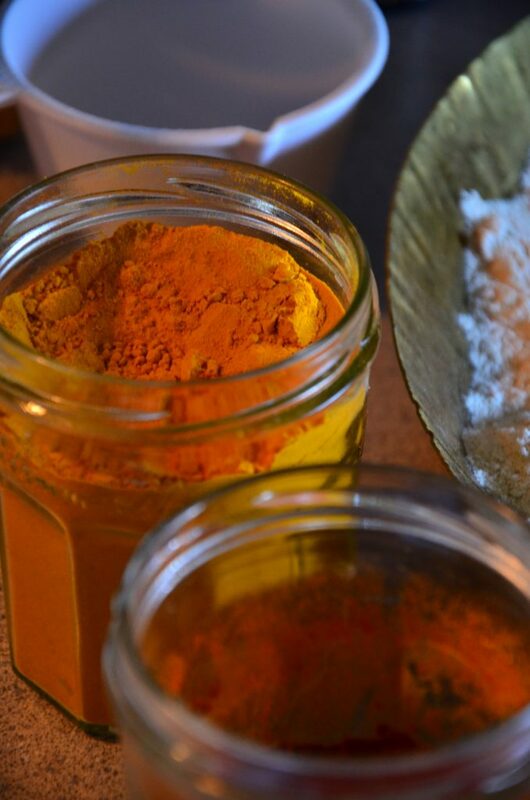 The shelf life of the concentrate is about a month or a few more months if the concentrate is refrigerated. This is a great recipe for Iftar during Ramzan as it is refreshing in the summers and hydrates you! 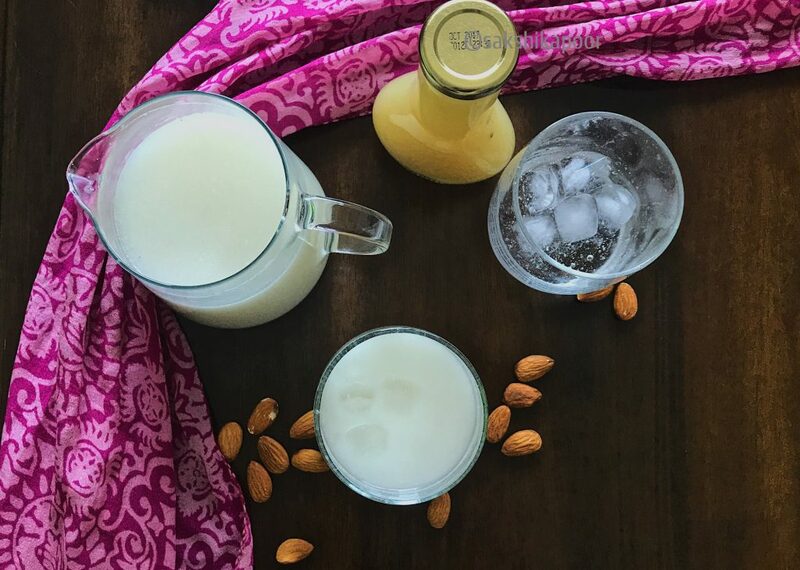 To prepare a glass of Badam Sharbat, pour 2 tablespoons of Badam Sharbat in a glass and top it off with cold water and an optional dash of cold milk. Stir well and add a few ice cubes. 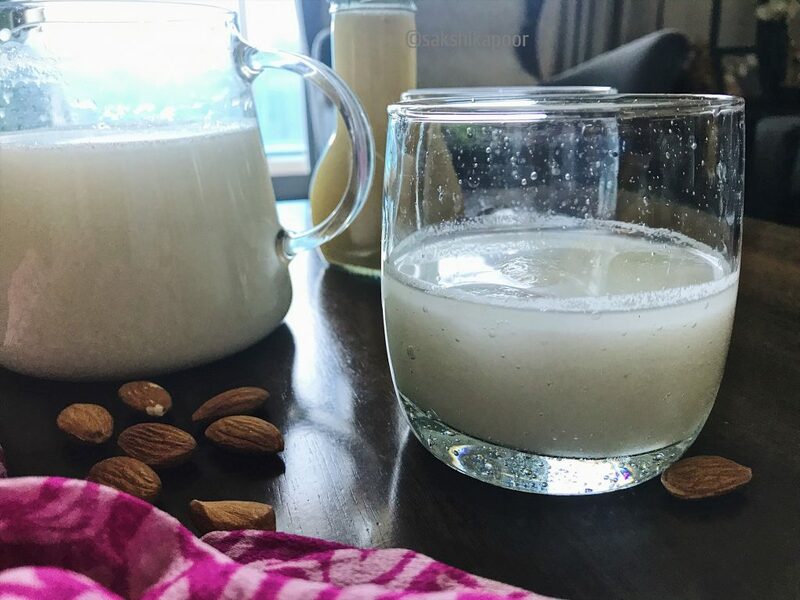 Serve this Badam Sharbat cold on a hot summer day with lunch or anytime when you want to unwind! Rinse the Almonds once with clean water and then soak in bowl for 4-5 hours or overnight. 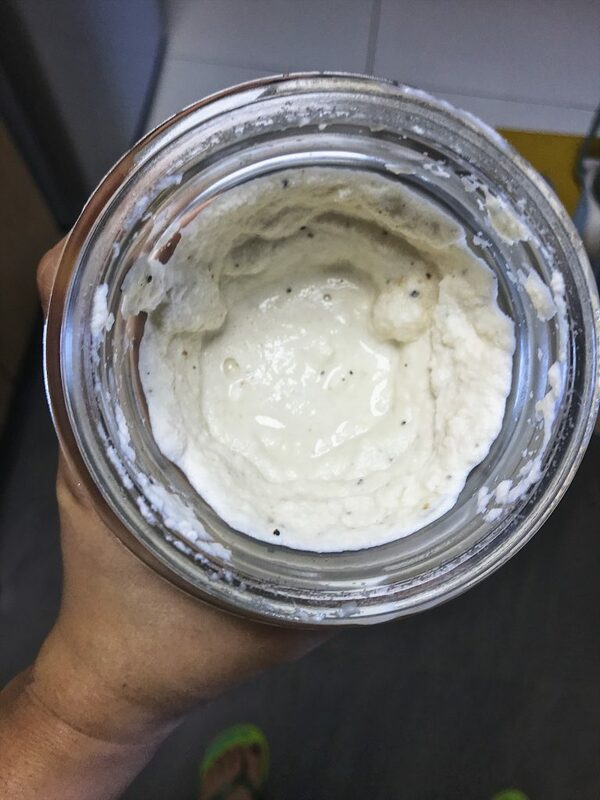 After this, place the peeled almonds in a small mixie jar or food processor bowl and pulse till it becomes a smooth and fine paste. 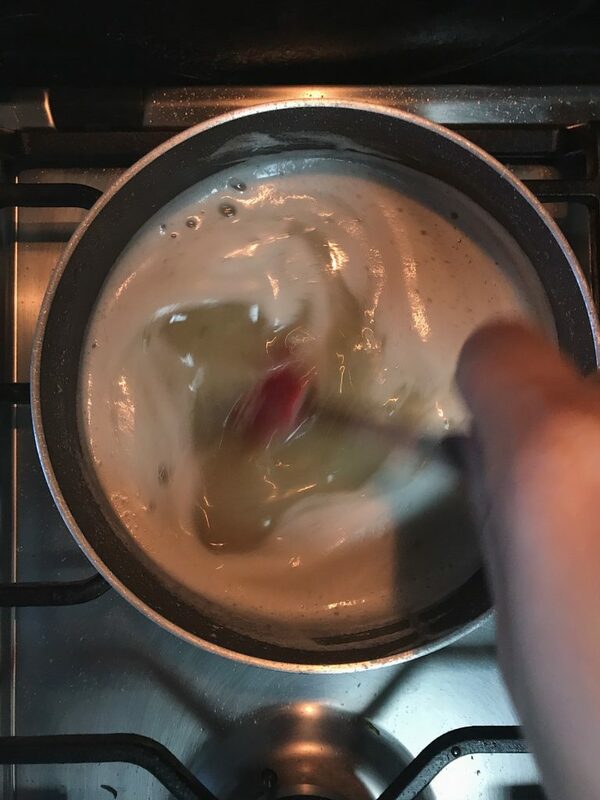 Add the crushed cardamom pods and crushed black pepper and additional optional flavours next and let the syrup simmer till it thickens. This will take 7-10 minutes and you'll have to let the syrup reduce. When you see that the syrup has thickened, add the Almond paste and stir. You'll see a change of colour as the mix turns pale yellowish which is fine. Store the Badam Sharbat concentrate at room temperature. Your anecdotes are so funny 🙂 .. and the recipe is too yum to not try.. Thanks for stopping by and glad you enjoyed reading the anecdotes! I made my batch of Badam Sharbat more than a week ago and have kept it in my kitchen which is centrally air conditioned (like everything else in Dubai! :D) and it is perfectly fine. If you think it is better to store it in the fridge then I would recommend that you make the syrup slightly thinner (Maybe use an add cup of water) in consistency. Even if it does crystallise a bit in the fridge, you’ll have to shake the bottle very well. Think how the Thandai concentrate bottle of Haldiram forms a deposit around the neck of the bottle and the contents are difficult to pour out; that’s what I think would not be desirable. That is the reason I recommend you keep it at room temperature. Another idea would be to just make a smaller batch that would be consumed in a couple of weeks! Do tell us how it turned out once you try the recipe!